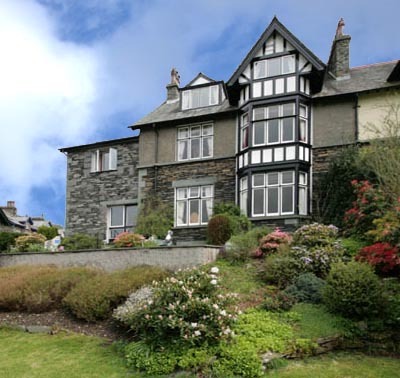 Brantholme is a large Victorian house on the edge of the town in a quiet residential street, yet only two minutes’ level walk from all Ambleside’s amenities. 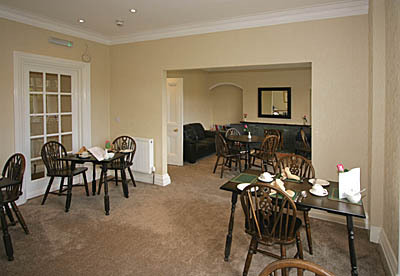 There is ample private parking and free wi-fi. 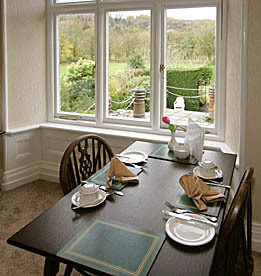 The house offers superior Bed & Breakfast in spacious accommodation that is furnished and decorated to a very high standard. Wonderful views open to the west and north, to Loughrigg Fell and Fairfield. We believe breakfast is the most important meal of the day and serve a traditional English breakfast as well as other options, including vegetarian, lighter meals, cold and fish dishes. Wherever possible our foods are sourced locally. Baths & Separate Walk-in Shower and W.C. In addition there is a luxurious 3 room suite consisting of separate bedroom, sitting room and bathroom. 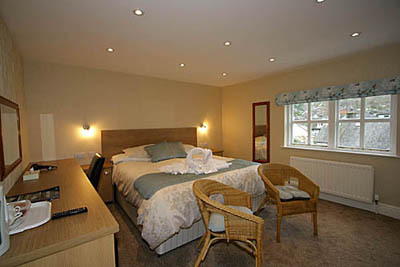 Room rates are from £44.50 to £74.50 per person per night, according to room and day of the week. The house is totally non smoking. Dogs can be accommodated by prior arrangement.